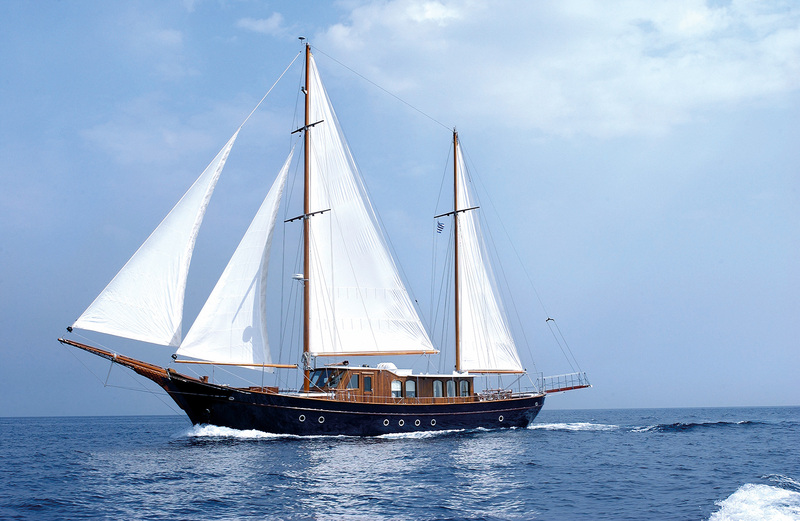 FUEL CONSUMPTION: 120 lt/h + 120 lt/d gen.
Motor sailer Liana H combines the latest technology with tradition and elegance, offering a unique level of comfort, luxury, safety and reliability. 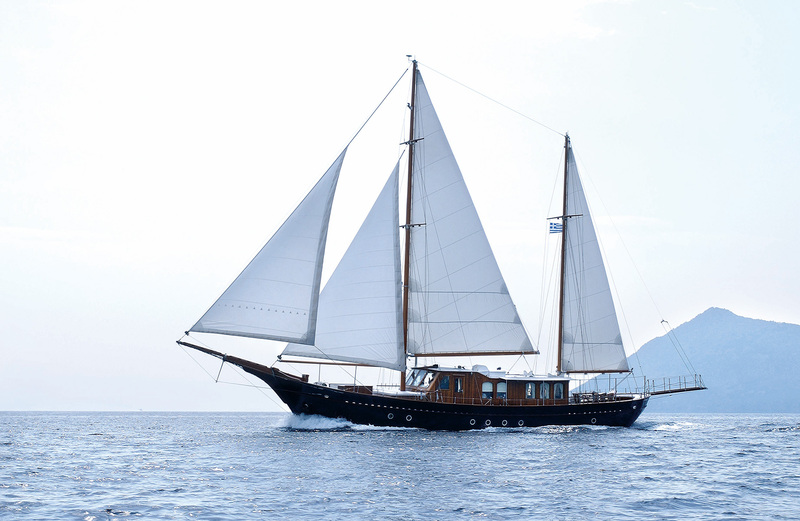 Custom designed and built at Syros boatyard in Greece, with passion for perfection, evident in every detail of this gorgeous boat. 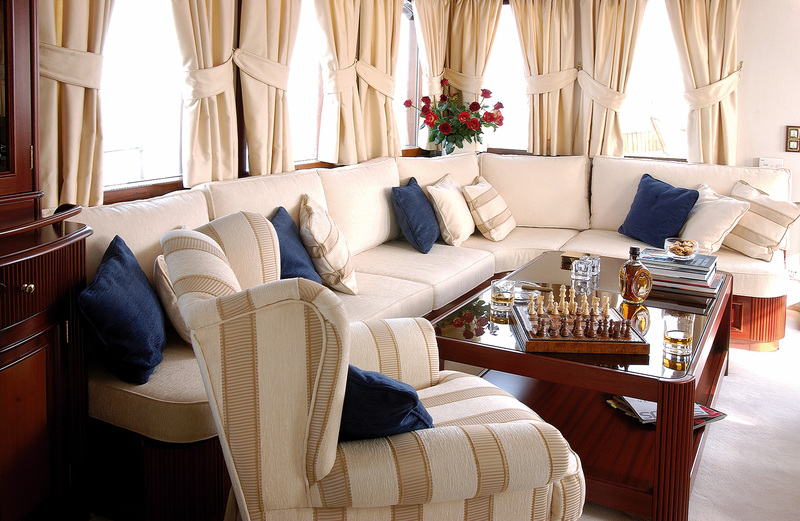 She comfortably accommodates 12 guests in five cabins as follows: One master stateroom with king-size bed, sofa, office, private en suite bath and is outfitted with a satellite TV, DVD, VCR and MP3; One cabin with one double bed and one single bed; Two cabins with one double bed and one upper single bed; One cabin with one double bed. All cabins have en suite facilities. One full beam Master cabin with king size bed, writing desk and sofa. One Double bedded cabin with extra single bed. 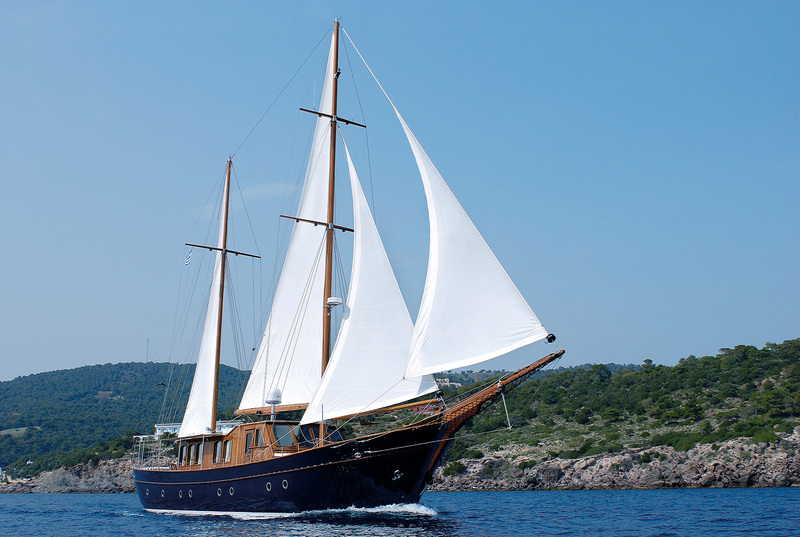 Two Double bedded cabins with extra single upper beds. One Double bedded cabin. 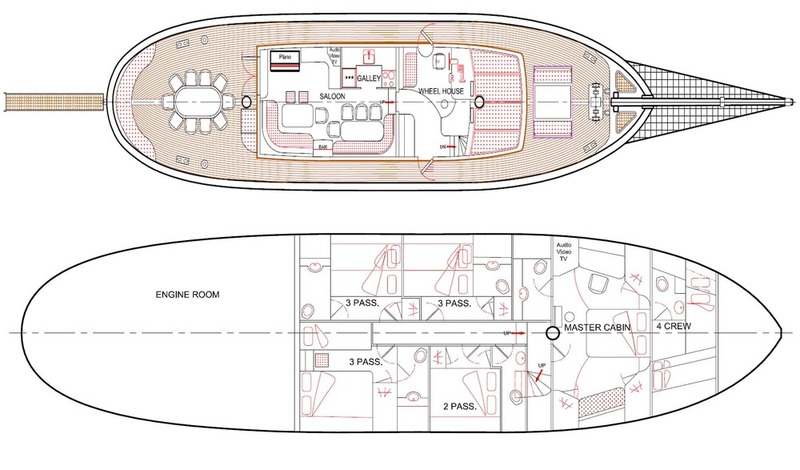 All cabins located on the lower deck. En-suite facilities in all cabins. Water ski, canoe, wind surf (upon request), snorkelling as well as underwater fishing equipment for min. 3 persons, fishing equipment, diving equipment for min. 3 persons. 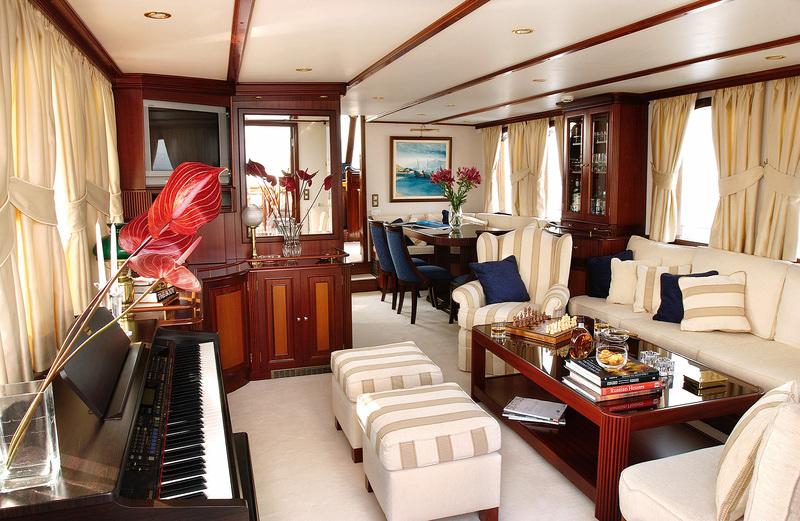 Satellite TV, DVD, VCR, CD in Salon and Master cabin. CD, cassette, radio, MP3 in all cabins.